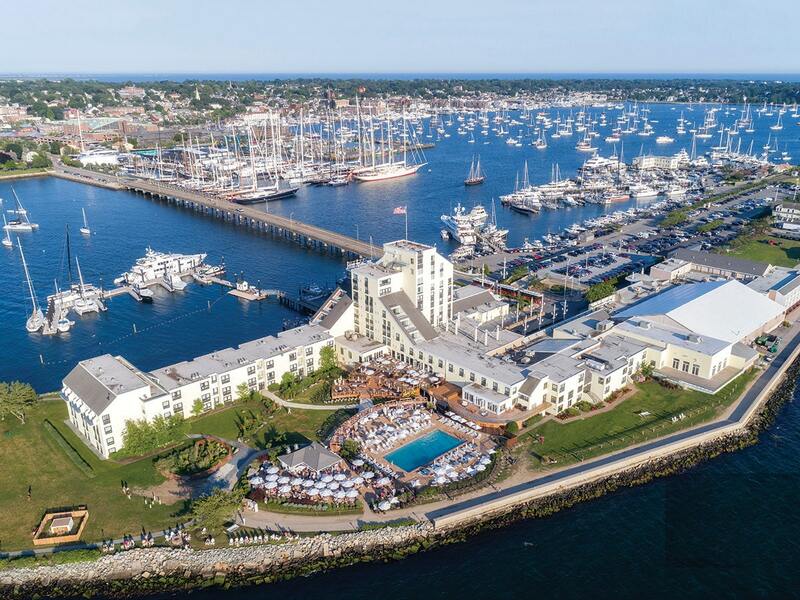 There’s a lot that’s new in Newport, R.I.—including a renovation of a storied Goat Island resort, opulent hometouring and the return of the world-class Volvo Ocean Race this May. However, this idyllic seaside retreat remains—thankfully—timeless. In Newport, R.I., it seems even goats live the luxe life. When its two most famous ruminants, Cornelius and William (named for Vanderbilt scions), need to retreat from the cooing attention their presence generates, they shimmy into a pared down take on one of the not-so-simple “cottages” that grace this seaside haven—complete with a widow’s walk, a portico and arched windows. Located on the grounds of the new Gurney’s Newport Resort & Marina (high-season suite rates from $389 per night, gurneysresorts.com), the animals’ enclosure nods to the fact that the 257-room property—a sister to the Montauk, N.Y., legend of the same name—is located on a 10- acre site on Goat Island (so-called because early colonists used it as a pasture for farm animals). 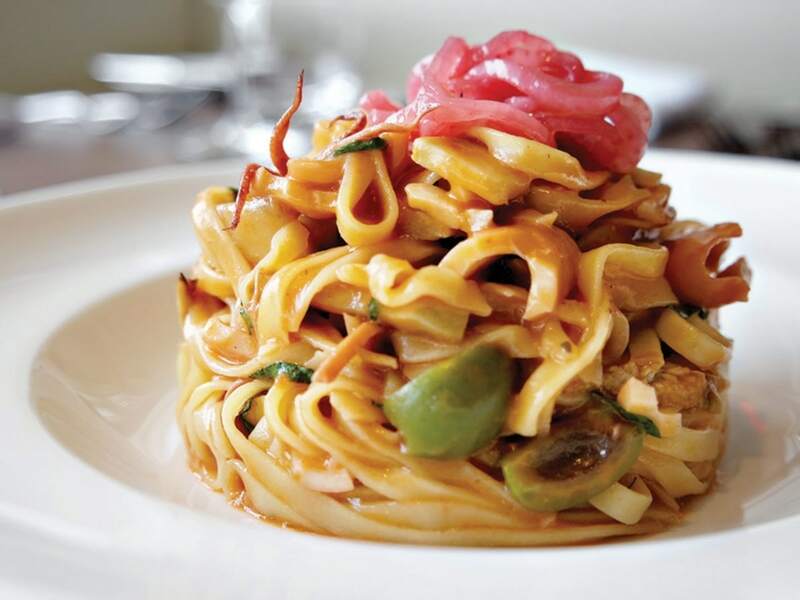 After eating at the scrumptious on-site S carpetta—a waterfront outpost of the iconic New York Italian restaurant— it’s a short walk or drive to the mainland. However, with a marina primed for topnotch sailing competition this spring, a coterie of shops and restaurants, a spa overlooking the bay, and expansive lawns that roll down to prime waterfront, the resort is a destination in itself. Still, guests—or anyone who hasn’t been to the area in a while—would be remiss in not setting out to further explore this destination. Strolling through the jaunty jumble of tourist attractions that enliven the port is an exceedingly pleasant way to spend an afternoon— especially if you nish with a twilight sail. And, anyone interested in design, history or society (in all senses of the word) will want to devote hours (days!) to touring the extravagant mansions that cling to the clis overlooking the ocean (newportmansions.org). If there’s time for only one of the “greatest hits,” make sure you call on e Breakers, the opulent home of railroad baron Cornelius Vanderbilt II. Its 2 ½-story high Great Hall—encrusted with enough marble, alabaster and bronze to outfit a small museum—is an eye-popping, mouth-dropping vision. A new tour of its then-state-of-the-art boiler room, basement and tunnels will leave you gobsmacked. Several under-the-radar experiences also dig into this heritage, bringing visitors up to date with looks at the lives of more contemporary occupants. For example, Rough Point, a relatively recent entry into the lineup of museum homes, emphasizes Frederick Law Olmsted’s naturalistic landscaping and presents exhibits such as this season’s Designing for Doris: David Webb Jewelry and Newport’s Architectural Gems, which displays the jewelry that the property’s owner, New York socialite and tobacco heiress Doris Duke, commissioned and wore. Phi lade lphi an Dor rance “Dodo” Hamilton—she of the Campbell’s soups fortune—also exerted a strong presence in Newport, especially when it came to philanthropic efforts. Most notably, she turned her purchase of the quirky Swiss Village Farm—an assemblage of buildings adorned with gabled roofs and fanciful turrets that was used to house livestock—into a foundation devoted to the conservation and breeding of rare and endangered sheep, cattle and, yes, goats. The operation opens to the public one day each year; this year, it’s June 16. There’s much more here that feels fresh... but, always, there are the classics: the International Tennis Hall of Fame; the famed Cliff Walk overlooking the water; and a lovely Colonial heritage that’s highlighted by Touro Synagogue, the oldest extant synagogue in the nation. 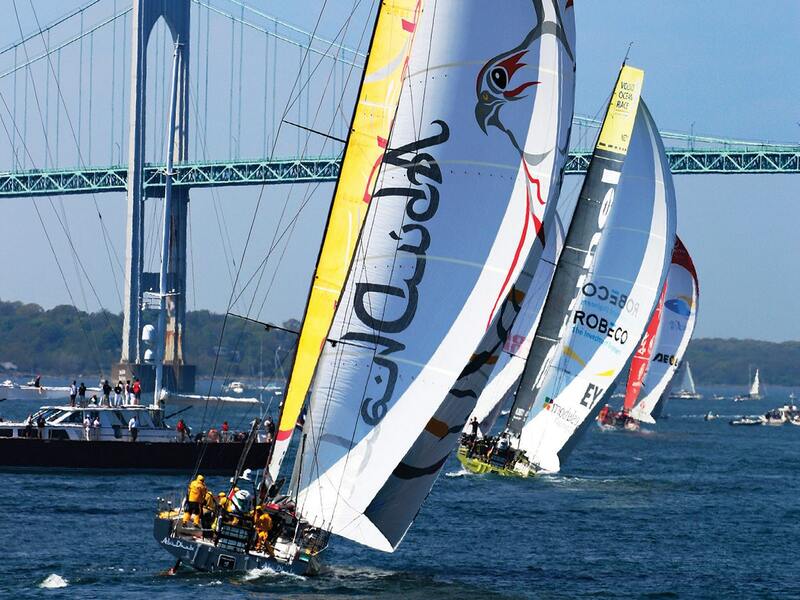 In May, the Volvo Ocean Race (volvooceanrace. com)—the only North American stop for this, the longest, biggest and toughest team sailing race in the world— returns to re-establish Newport as the sailing capital, with two weeks of Pro-AM races, sailor meet-and-greets and conservation updates. More than anything, though, Newport is about the moneyed who came here to play, their stories and their homes, and their joys and their disappointments. And that never gets old.